Please check start times online. Start times for first round match(s) will be available after 8:00 PM Monday 7/23/2018. Call 303.888.4461 if you don't have internet access. Play starts at 8:00 AM on Wednesday 7/25/2018. Cindy Tilbury reserve(s) the right to combine or cancel any division due to insufficient entries. Director may refuse participant's entry for any reason. 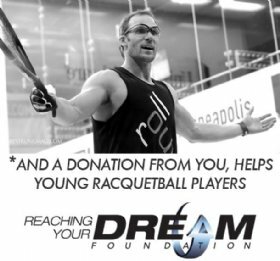 This is a USA Racquetball sanctioned event. You must be a current member as of the last day of the tournament. USAR rules apply. Lensed eyeguards are mandatory. No refunds after date July 13, 2018. Bring a towel and a lock. Towel service available for $1. Full use of the club from 5:00 am to 10:00 pm is available to participants/guests. 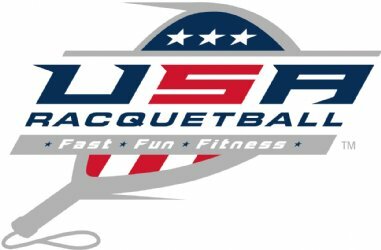 Practice courts available on July 24, except during registration / check-in time. Denver International Airport (DEN) All major airlines fly into DEN, as it is a huge western hub for most airlines. There is no alternate airport that is close to Highlands Ranch. Colorado Springs (COS) is an option, but not close. The hotel and club are almost 40 miles from the DEN airport. Super Shuttle is a good option at $50 one-way ($12 for additional people) but a reservation is recommended. Taxi/Uber/Lyft will be about $100 one-way. Try the R2 "Need a Ride" list. The Hilton Garden Inn will be providing a shuttle on a schedule from the hotel to the clubs. Tips are always appreciated. You can also easily walk from the hotel to the primary club via sidewalk. Arrive on Tuesday, July 24, 5 pm to check into the tournament. This will most likely be held at the Highlands Ranch Rec Center. You'll receive your tournament souvenir, drawsheets, balls for your matches, and other surprises. Appetizers will be available. During check-in night, starting at 7:00 pm, we will hold a player information meeting to go over details of the tournament, and answer any questions. Please try to join us. All players play every day. You can expect play to start at 8:00 am Wednesday, July 25, and finish before 5:00 pm on Saturday, July 28. Matches are scheduled back-to-back for each division each day, so you will be done and ready to explore Denver. Matches are two games to 15, with no tiebreaker. Two bonus points will be awarded per game, and four more for the match. Tied matches will split the bonus points. A perfect two-game win would score 38 points. Large divisions may be split into pool-play groups, with a playoff to determine the winner. Generally, six players advance to the playoffs. Small divisions will be combined to provide enough matches. Rules questions and tournament issues can be appealed to the rules committee and the tournament director. The decision of the rules committee is final. In special cases, a watcher may be requested to settle disputes. NMRA high-quality medals will be awarded to First through Fourth places in each age division--doubles and singles. No medal will be awarded for a combined division itself. As of the first day of the tournament, you must be old enough to play in the division for which you are entered. You may play in a younger division, and your doubles team must play in the age division of the youngest player. For full breakfast, stay at the host hotel. Fruit and drinks will be available at both clubs. Available at the Primary Club only. Check for serving times and details during the tournament. Planned lunchtimes will be about 11:30 am to about 2:00 pm in an upstairs room. Available at the Highlands Ranch Rec Center only. This is not a substitute for dinner. Friday night, July 27, at the Hilton Garden Inn ballroom. Cash bar at 6:00 pm; dinner and program from about 7:00 to 9:00. Videos, slideshows, awards are customary. Don't miss this! You may contact Cindy Tilbury at 303.888.4461 to get on the list for partners and roommates. 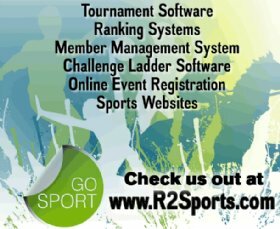 You may also use the R2sports "Share a Ride" list feature when you sign up for this tournament. Cindy may also contact you to ask for your help as a partner. Your shirt size is listed in your www.usra.org player profile. If you need a different shirt size, change your profile temporarily or use the Comments section of the online entry in R2sports. 5,280 feet above sea level (one mile) Get to Denver early to get used to the altitude and dryness The ball bounces much higher.